In the past year, I’ve taken to hunting pretty rapidly. I didn’t grow up in a hunting family. My dad went to deer camp, but I think he always went with the guys from church to just sit and eat chili for four days. Well, in April of 2013, I decided to take gun safety (yeah it was weird being a 26 year old guy taking a class meant for 13 year olds, but I had to do it to hunt). Either way, I got 100% on my test, and took to the woods in May. 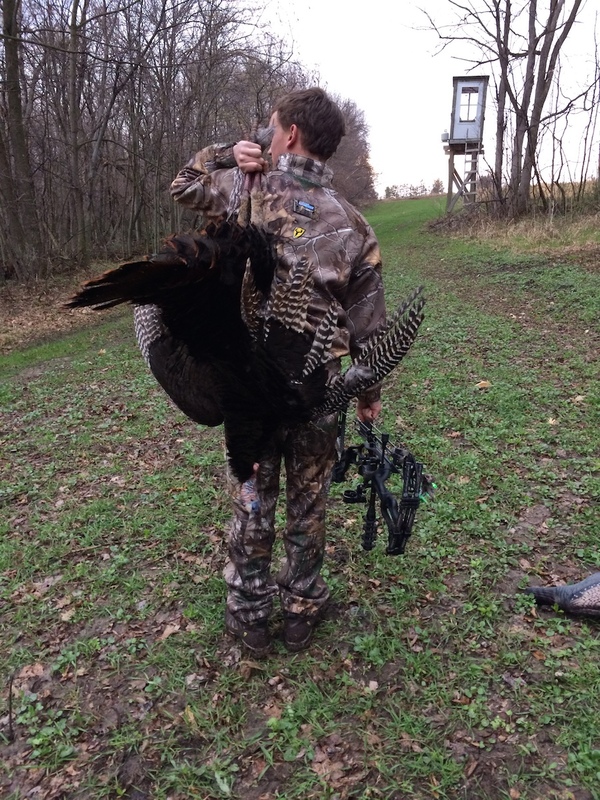 My first animal hunt was for turkeys, and I was fortunate to take a nice Tom gobbler that spring. 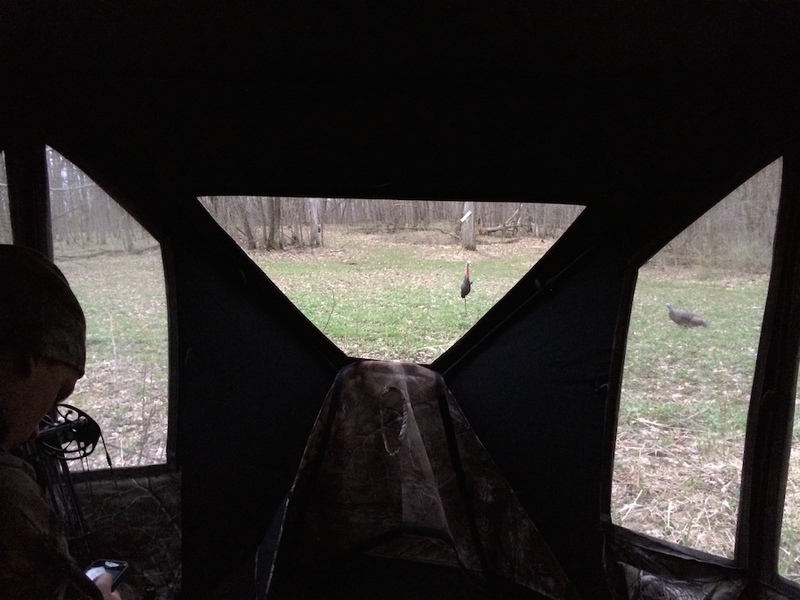 As I write this from my turkey blind (I can hear them gobbling, but they’re at a distance yet), I was thinking about sharing a cool experience I had a week ago joining a turkey hunt with my friend Alec Reinhart. 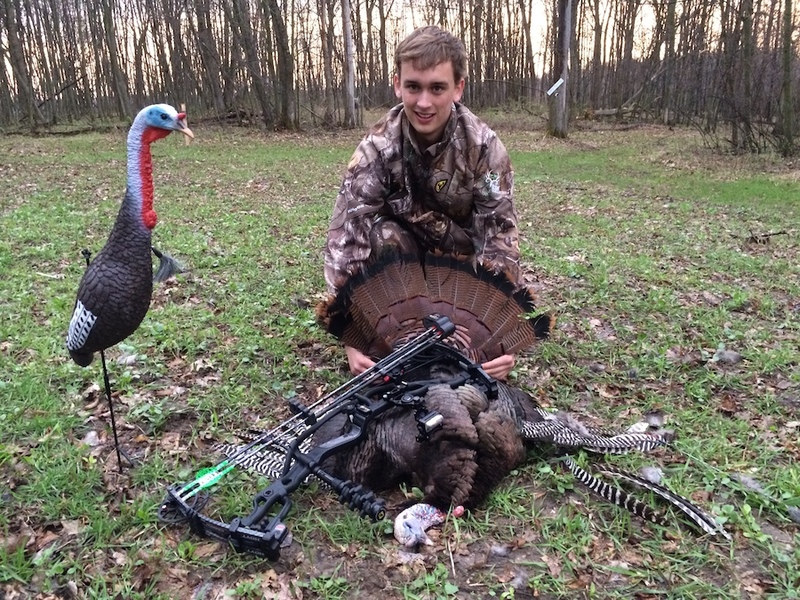 Alec is a seasoned hunter, but brand new to turkey hunting. He invited me to his cabin in Wisconsin to sit with him on his hunt. I took the opportunity. My role was to videotape Alec’s hunt, which I was happy to do. After an early morning of sitting in the blind and seeing nothing, then hiking a few miles through a massive ravine (still not sure that was a good idea), we returned to the blind to sit awhile longer. It would be safe to say patience is not Alec’s strong suit. The one thing I’ve learned about turkeys though is that patience is key. Hearing Toms gobble (just to the west of me right now) can be very toiling, especially when they don’t come in right away. The important thing is to sit and wait. Well, we sat and waited, right through a torrential rain storm (thankful for the blind! ), and it paid off. You’ll see in the video below what victory looks after an early morning, long hike, and sitting through a rainstorm. Now I just wish the sun would heat up my blind a little faster. 38 degrees is colder than I remember.